Whether you are looking to deliver sustainable water to your home or industry, slash your water bills, or simply beat the hosepipe ban this summer, then rainwater harvesting could be the answer. Panks will provide you with the best solution in the East Anglian region. If you need to meet government directives for sustainable building, and are looking for a reliable and credible provider of rainwater harvesting systems and boreholes, or pump maintenance, look no further. Panks can work with you to find the solutions you require. Above the obvious immediate economic savings, the benefits are great. In Norfolk and Suffolk, areas with notoriously hard mains water, rainwater harvesting provides the natural softer alternative; a chemical free alternative which plants respond well to and which does not scale up your equipment. Harvested water can be used for washing and cooling processes in manufacture and industry; for irrigation or drinking water for animals within horticulture or agriculture and in a domestic home, rainwater may be used for flushing toilets, washing cars, running washing machines or general watering purposes. The government is driving forward initiatives to increase sustainability and rainwater harvesting is a growing concern. Across East Anglia, we have implemented rainwater harvesting systems in a wide variety of buildings – from domestic homes to commercial offices, schools, hotels and hospitals, industrial and farm buildings. We are on hand to meet your need for trusted and reliable installations. At Panks we will help you take the rain that falls naturally onto your roofs. We’ll filter it and store it in underground holding tanks, ready to be pumped, treated if required, and reused around the home and garden. Across the Eastern region, Panks supplies a wide range of filtration systems, pumps and water storage tanks. We help you calculate the best installation for your job. One of our most popular choices is a shallow gravity fed tank which can be installed at a depth of less than 2metres; meaning less excavation, less concrete and less labour to install. Our tanks are gravity fed; rainwater run-off from roofs and guttering flows through downpipes and is filtered to remove sediment. The stored water can then be processed via a water treatment plant if required, before being pumped direct to a header tank and supplied at pressure to the building’s internal water systems. Installation with mains water back-up means that if in times of drought there is insufficient rainwater stored, the system will convert to mains. Or you may want to mechanise and control the whole process; no problem. For construction professionals looking to meet the criteria of government’s Code for Sustainable Homes, you’ll know the recommendations are soon to be integrated into Part L of the Building Regulations (2016). As the drive towards continuous improvement in sustainable home building continues, water-friendly fittings are an integral feature of any new build. We offer expert advice gleaned through knowledge and experience over many years of working in the industry across East Anglia. We work with you to find the best options for you and we can offer flexibility as to our role within your project. From advising, supplying and installing tanks, pumps and boreholes, to servicing and commissioning; with Panks, be assured, our credibility is our reliability. No matter what the building or however diverse the application, Panks can deliver a rainwater harvesting system tailored to your needs. On large scale applications, such as attenuation tanks under supermarket carparks, Panks has experience of working alongside construction and groundwork contractors. We will efficiently and professionally install the necessary mechanisms to pump and control systems and drainage. Similarly, working with large reservoirs for over-winter collection in Leisure or Agriculture, Panks gets rainwater flowing to where it is required and pumped around as needed. At Panks we listen. We’ll talk through your ideas and advise you. Just like you, we are looking for the best solutions. We can provide annual servicing, or we can we equip you with the skills to manage your own basic maintenance. We are able to test and commission your own installations if this is what you need. With Panks you get our promise to give you good sensible advice – and a usable and efficient solution. We would love to help you to a solution. Want to talk through your ideas or need inspiration from Panks – call us for great advice. Or simply drop us an email now and we will be in touch. 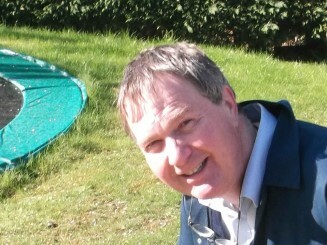 Tom Selby - Business Development Manager From a background in commercial growing I have over 30 years of designing and supplying irrigation systems. Panks have never been tied to a particular manufacturer and I endeavour to provide the best equipment at the best price to give the most effective solution. So from a window box to a country estate please do not hesitate to call me for advice. Want to discuss Rainwater Harvesting? We'd love to talk through your harvesting requirements. Drop us an email now.